The news this week is that I have bought a wheelbarrow! I now feel that I have made it in the gardening world. It even prompted a major sort-out of the garage, so that I have somewhere to park it! But even the new barrow cannot eclipse the bigger news that I may have found a new favourite novel! All The Light We Cannot See by Anthony Doerr was a birthday present from number two child. He is definitely in my good books, if you'll excuse the pun! 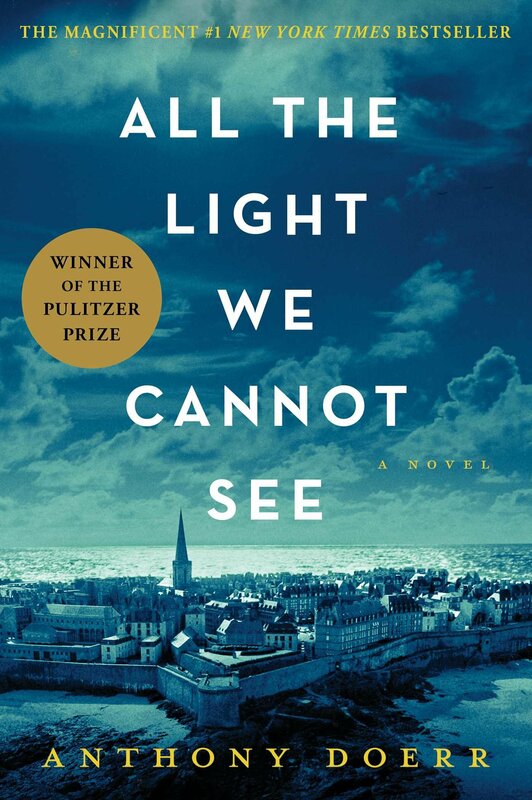 All The Light We Cannot See won the Pulitzer Prize in 2015. It is a deeply satisfying story and is based around the simultaneous experiences of the two protagonists, Werner Pfenning and Marie-Laure LeBlanc. The novel opens with a very short contextual chapter entitled Leaflets and then a second, Bombers. This sets the scene of a story with the Second World War at its heart. But this book is less about battles and far more abut personal experience. Marie-Laure and Werner are children growing up with the preludes to war all around them. It is the stuff of grownups, and not relevant to their lives. This naivety is juxtaposed with the seige in St Malo which we know involves both characters. This brings a palpable tension that keeps you reading long after you should have put out the light. Museum of Natural History. He is a quiet and mild-mannered man who understands his daughter absolutely. He dedicates his life to making her life bearable, creating a gift of independence for her in the carefully carved replica 3D model of the roads and avenues around where they live. For Marie-Laure is blind. He teaches her to trace her fingers over every house, every storm drain, every tree and every garden wall. He then takes her out in the real city, disorientates her and tells her to bring them home, thinking of the model, letting her knowledge of its geography guide her. Eventually, she is able to do it, and this is his first gift to her. He then teaches her braille and gives her the gift of reading. A birthday present of Jules Verne's 20,000 Leagues Under the Sea inspires her imagination. Together with knowledge gained from the Museum, she learns to love creatures of the sea and the essence of exploration and preservation. In a parallel life Werner lives in a children's home with his sister Jutta. He is determined not to work in the mines that claimed the life of his father, and it seems as though he will be rescued from this inevitability when his eager mind and quick intelligence imbue him with a love of radio. Finding components discarded whilst out with his sister, he brings them back to the home and sets about rebuilding them. He has no formal learning, but a ready mind and talented application. The children's home soon has a working radio. He and Jutta love to listen in to any number of stations, but are particularly entranced by some specific science and maths lectures, "[They] find the Frenchman's broadcasts again and again. always around bedtime always through an increasingly familiar script." These become significant in their lives and in their education, as they attempt to replicate experiments. The story is told in the present tense which gives it immediacy. Its chapters are delightfully short and switch mainly between Marie-Laure and Werner, with some other characters having brief voices where necessary. We witness the unfolding of the Second World War and its impact on the lives of the protagonists. Doerr has written evocatively and sensitively, so that empathy for both characters is felt. Fundamental to the story are Marie-Laure's blindness and Werner's love of radio. The reader acknowledges from the opening pages that these two lives need to collide in some way, and yet it is not easy to see how. Werner is spotted by the increasingly sinister presence of Nazi officers and is sent to school in Schulpforta, a National Political Institute for Education. These schools accepted only the brightest and the racially pure, and were set up to create leaders for the Third Reich. Werner was only a lad when he went, and we see his battle with conformity and freedom, a battle not fully realised or won until much later in the novel. Marie-Laure is a beautifully constructed character. She is fully convincing in her tenacity, her vulnerability and in her love for those around her. It is difficult not to feel strongly protective of her as you read. Her life is upended when, in June 1940, she and her father are forced to leave Paris. 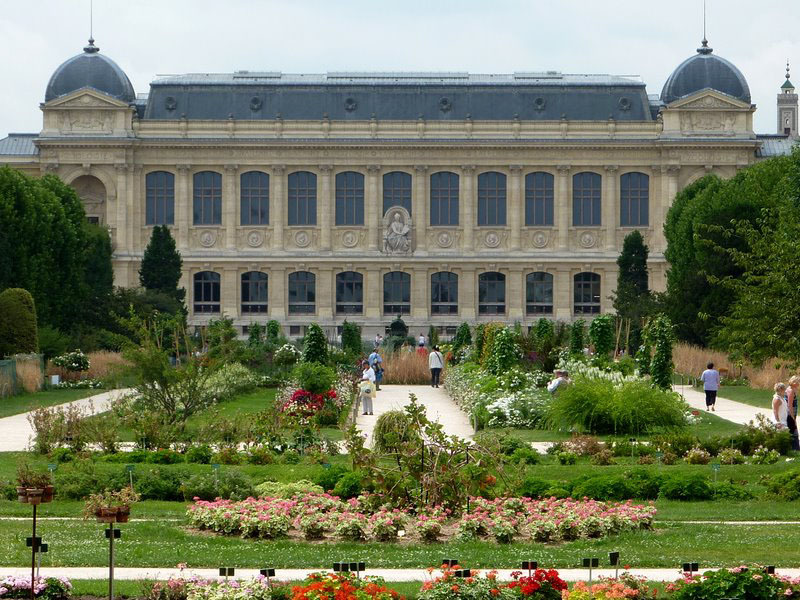 Her father has a mission from the museum, to protect one of its most precious exhibits. This plot line is significant throughout the novel, and told a story of war that I had not before appreciated. They head for St Malo where a distant relative offers them a home for the duration of the war. As those who know me will testify, I always yearn for happy endings. I want my novels to have a full resolution and I want it to be good for those characters I have come to love, whose lives I have inhabited for the hours that I read. This is a perfectly resolved story. Whether happy or not I will not say, but its final chapters form a mini epilogue and trace the impact of Werner and Marie-Laure's story to 2014. This novel moved me. I have never quite come across a character like Marie-Laure. I will carry her in my head for many days, and in my heart for longer. It goes without saying that I think all of you should add this title to your must-read list. Beautiful, devastating, evocative. It is love for humanity with all its flaws that resounds through the pages as Doerr constructs this deeply personal story. Excellent purchase. Major points to child two for opening my eyes to this one! Inspiring really want to read this love the picture of the father's sacrificial, protective and productive love.